The new navigation infrastructure of the Azure Cost Monitor is using the $toolbar service from the ngHelper-Toolbar project. We hope this feature makes it simple to maintain your toolbars. Any questions, wishes or ideas? Try the issue button on the GitHub page or contact the author via this blog. After that the component is registered in the bower.json of the project. Moving up the dependency entry to the position right after the inclusion of angular ensures that the Airbrake-Shim is loaded as early as possible when doing a full page reload. After configuring the project everything works as expected and Airbrake receives exception from the AngularJS application. In the last two parts of this article series, the caching behaviour of AngularJS applications was described and a solution for all issues in a typical app was delivered. The last part now is focussed on developing a real life example which demonstrates the authors favourite solution. When following this tutorial Yeoman should be installed on the machine. 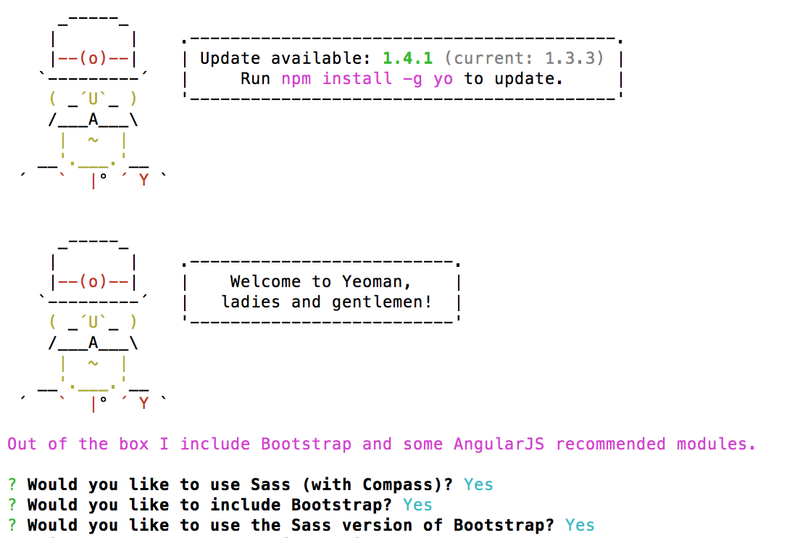 In addition the angular generator of Yeoman is required. Everything is settled for the deploymentUUID based caching strategy. In the ngHelperDynamicTemplateLoader every caching strategy is implemented as a specific service. 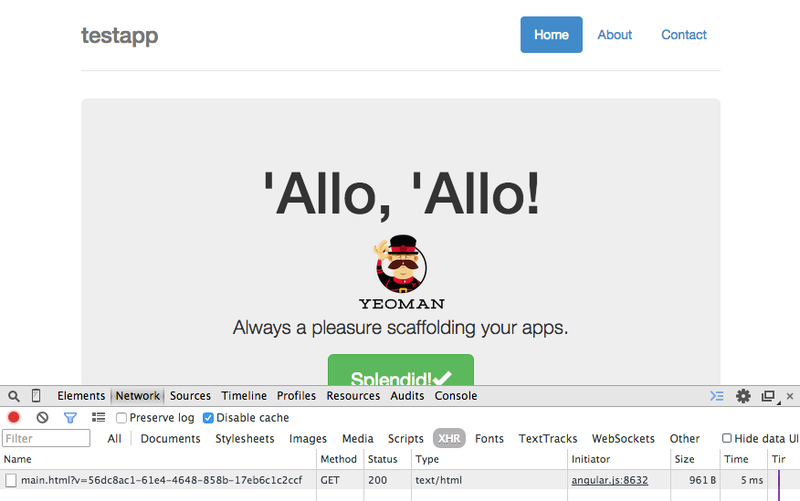 the browser will load all of the templates with a special version parameter in the url. The version parameter contains the deploymentUUID which means the system is using the cache as long as nothing has changed but after an update the system is using a new uncached version of the views. The illustrated caching provider can be improved when using a grunt task which is building hash keys for every HTML file. The hash keys can then be used in the request so that HTML files would be reloaded from the server when the specific view has changed which is a more granularly approach. This article should help to solve the views and partial caching issues in all AngularJS applications. The described approach is successfully used in production applications, e.g. Azure Cost Monitor over the last weeks. The sample application developed in this article can be found here.